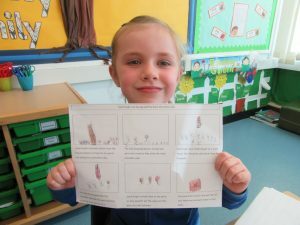 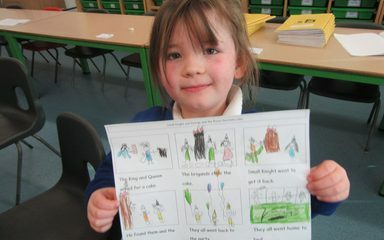 This week, Robins have been reading and responding to the text Small Knight and George and the Royal Chocolate Cake. 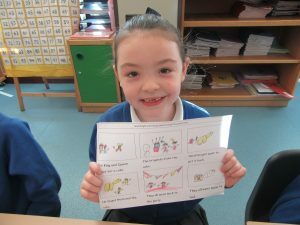 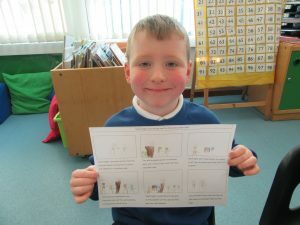 They’ve really enjoyed the story and have developed their prediction skills. 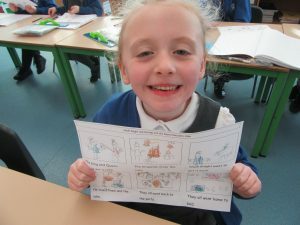 Today, they had to read summaries of the text to draw images and complete their storyboards. 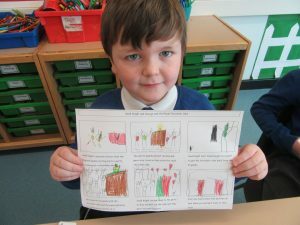 Look how good they are! 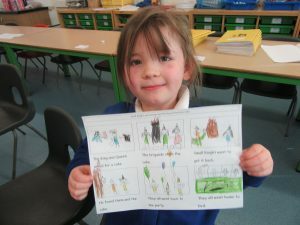 What a great idea deciding what should happen in the story.I bet that was lots of fun .well done Robins !